Florida leads the nation in storefront crashes. According to the Storefront Safety Council, an average of 60 storefront crashes occur each day throughout the nation. Florida leads the nation in storefront accidents as an estimated 17% of all crashes occur in the state. A storefront accident happens when a vehicle drives through or into a window or wall of a store, restaurant, or other establishment. The car, truck, or van can hit pedestrians that are on the sidewalks in front of the establishment, as well as patrons or employees who are inside. Storefront crashes are particularly unsettling because they occur in places that you would not expect a vehicle to be. Buildings that are in close proximity to the roads, small or cramped parking lots, poor lot design, and parking space placement can all contribute to the occurrence of storefront crashes. What is more disturbing is that any business can be affected. This includes grocery stores, restaurants, day care facilities and office buildings. Patrons, pedestrians, and employees that are going about their daily activities are often unaware of the danger until the car crashes through a window or wall. Whether you are resident or a tourist, the state of Florida is known for relaxation and fun. Often thought of as the vacation capital of the world, Florida’s year-round warm weather, sunny skies, and picturesque beaches draws millions of tourists to the state each year. The cities and towns within Florida provide an experience that is unique to them. Vacation-friendly cities of Orlando and Tampa bring millions to enjoy theme parks, as well as outdoor entertainment and recreational activities. Beach communities the line the attract millions of residents and visitors alike who enjoy the water and warm sun. All throughout the state, families live in upscale, middle-class, and urban neighborhoods that are filled with parks, schools, and activities. Some of the largest cities in Florida have thriving business districts, which sport thousands of commercial and office buildings. With a population of over 21.6 million, the state of Florida is the third most populous state in the country. The median age of residents in Florida is 41.8 years old. Florida is racially and ethnically mixed. Higher populations of Hispanic and African Americans live in the larger cities, such as Miami, Orlando, and Florida. Florida also has a large retirement community, senior citizens making up almost 25% of the adult population in Florida. The Florida storefront car crash attorneys at the Wolfson Law Firm work with victims of storefront car crashes. Those injured in storefront accidents may be struck directly by the car as it drives into the store. Flying debris can also hit or pin those inside. Pedestrians on the walkways in front of the stores are also in danger of being hit, especially at buildings that have parking spots directly facing the sidewalks. Research from the Storefront Safety Council shows that drivers of any age can cause a storefront accident. In Florida, however, age may contribute to a storefront crash. Drivers that are considered to be elderly account for 43% of storefront accidents in Florida. Further, drivers over the age of 50 contributed to over 50% of the storefront crashes. Although drivers of any age can cause a storefront accident, the risk appears to increase with age. What Causes a Storefront Accident? You may think that storefront accidents are most likely due to a driver that is intoxicated or impaired. According to storefront crash studies, driver intoxication accounts for approximately 17% of storefront crashes. Approximately 56% of storefront crashes are the result of the operator error. Drivers who confuse the accelerator with the brake pedal or put their car in drive instead of reverse can accidently drive their cars into buildings, through windows, or onto sidewalks. Pulling in too fast to a parking spot that is facing the building, dropping off or picking up passengers next to curbs, and travelling too fast on roads that wind around buildings can also result in cars driving into or hitting the side of buildings. In other cases, the driver is not at fault. A car involved in a storefront crash may have swerved to avoid an accident and lost control. Cars that are hit from behind or in the side may be pushed into the windows or walls of buildings. For over 55 years, the Florida storefront personal injury attorneys at the Wolfson Law Firm have represented victims who have been injured in accidents. We help victims who have been injured in a storefront car crash recover lost wages and compensation to pay for medical bills and continuing coverage. If you or a loved one has been injured as the result of a storefront crash, we can answer these questions and help you to receive the compensation you need to recover from your accident. Contact the Florida personal injury lawyers at the Wolfson Law Firm at (305) 285-1115 today for a free consultation. The Wolfson Law Firm proudly serves residents in throughout Florida. With offices located in Miami, Fort Lauderdale, West Palm Beach, and Fort Myers, we represent victims that have been injured throughout Florida. 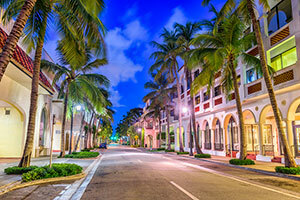 We proudly represent clients who live in the Florida Keys, as well as the surrounding cities and neighborhoods of Miami, Fort Lauderdale, Palm Beach, Orlando, and Tampa. If you or your loved one has been the victim of a storefront crash, contact the Florida personal injury lawyers at the Wolfson Law Firm at (305) 285-1115 for help.